The hype has been huge. 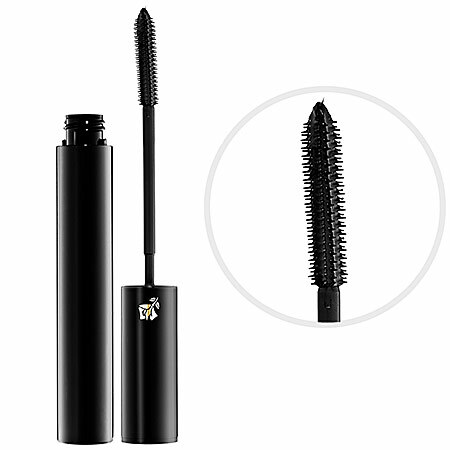 For months, rumors have been circulating about the amazingness that is Lancome Oscillation Mascara. The whopping 7000 oscillations per minute that this tube produces are completely unrivaled on the market. So when the opportunity came along to purchase it, I jumped at the chance. I plunked down my money and laid in wait for the tube to arrive, dreaming of the fabulousity that surely laid within. "This is definitely a product for beauty junkies," Kerry told me. "When you use it, remember it's a different kind of mascara. You have to go slow and steady. If you zig zag, forget it. And keep the word stretch in mind. Just imagine that you are trying to stretch your lashes as you do it and pull the comb through your lashes. If you get a clump, and you just might, go right back into the clump with the brush and comb it out." So, keeping all of this handy advice top of mind, I pulled out the black lacquered tube, pressed the handy-dandy button along one side to get the vibrations going, and started applying the mascara ever so slowly to my lashes. Right from the get go, I was seriously impressed. The formula really adheres to the lashes, making them appear longer and thicker in only one coat! I didn't find any thick clumps among my lashes, though there were a couple spots to run through with the brush a couple of times. While there is a lot of product to clean up -- the mascara does feel a bit gooey and wet, and will leave some traces above and below the lashlines to get rid of with makeup remover -- it really does make lashes look fantastic. Each time I've worn it, I've gotten compliments on how long and lush my lashes appear ... so it must be working! Even better, it stays on all night -- even through vicious bouts of dancing -- with no fading or streaking. My best piece of advice? Don't be afraid of the vibrations! They're very fast, but so tiny that you won't really feel like you're poking something scary at your eyes. I definitely don't see any way that this mascara could hurt you. The price tag may seem a bit high, but I definitely think it's worth it. Lancome Oscillation Mascara retails for $36.50 at sephora.com. I've been wondering if it was worth the money. But can a bonafide second generation klutz use it? I have been thinking about trying it. I look forward to seeing how it works for me.